"House of Cards" is getting an infusion of famous faces for its final season. 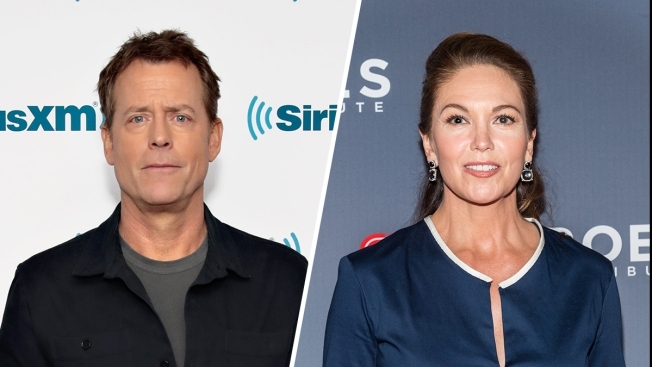 Diane Lane and Greg Kinnear have joined the political drama, Netflix announced. Production resumed on the series on Wednesday, Jan. 31 following a shutdown to reconfigure the final season in the wake of Kevin Spacey's firing. The show will now focus on Robin Wright as Claire Underwood. Kinnear and Lane will play siblings, but no other info about their roles were announced. They join Wright and returning faces, Michael Kelly, Jayne Atkinson, Patricia Clarkson, Constance Zimmer, Derek Cecil, Campbell Scott and Boris McGiver in the upcoming sixth and final season. Production on "House of Cards" was shut down following "Star Trek: Discovery" star Anthony Rapp's allegations of sexual misconduct by Spacey. Since Rapp came forward with the allegations, there have been several other reports. Netflix and studio MRC began investigating the claims and determined the show would not move forward with Spacey. "Netflix will not be involved with any further production of House of Cards that includes Kevin Spacey. We will continue to work with MRC during this hiatus time to evaluate out path forward as it relates to the show," Netflix said in a statement in early November. "We have also decided we will not be moving forward with the release of the film Gore, which was in post-production, starring and produced by Kevin Spacey." What Will House of Cards Do With Kevin Spacey's Frank Underwood? "While we continue the ongoing investigation into the serious allegations concerning Kevin Spacey's behavior on the set of House of Cards, he has been suspended, effective immediately. MRC, in partnership with Netflix, will continue to evaluate a creative path forward for the program during the hiatus," MRC said November 3. In December, Netflix's content chief Ted Sarandos confirmed production would resume on the show with Wright as the focus. "We are excited to bring closure to fans," Sarandos said at a USB conference. No premiere date for the final season of "House of Cards" has been announced. The series is the first original show Netflix debuted back in 2013.